All the lovely creatures that surround us. And on it depends our own future. We have all heard, read and used the word environment a number of times. But what exactly is environment. In simplest terms Environment comprises all of the external factors affecting an organism. 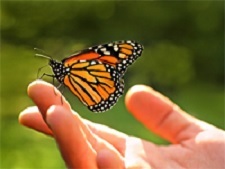 These factors may be other living organisms such as animals and plants or non-living variables such as water, soil, climate, light, and oxygen. For instance in our case all organisms as well as the physical surroundings with whom we interact form our environment. and dependent on each other. 2. Nothing comes free – there is always a price tag. 3. The world’s resources are in finite supply. The first principle states that all the constituents of the environment are interconnected and dependent on each other. Environmentalists have discovered that all species in an ecosystem interact with one another, either directly or indirectly. American environmentalist Robert Paine, working in the rocky region of the Pacific coast, found stable invertebrate communities dominated by 15 species of animals. These included starfish, mussels, limpets, barnacles, and chitons. When Paine removed all the starfish from the area, the community collapsed, and eventually only 8 invertebrate species were left. The starfish were preying heavily on one of the mussel species and keeping its numbers down. With the starfish removed, the population of this mussel increased, and the mussel was able to out-compete many other species of invertebrates. Thus, the loss of one species, the starfish, indirectly led to the loss of an additional six species and a transformation of the community. Another example concerns goats which were left on oceanic islands by sailors on their voyages. The goats were free to roam these islands and were meant to serve as a source of meat when the sailors later came ashore. Free from all natural predators, the goats thrived and, in the process, overgrazed many of the islands. With a change in plant composition, many of the native animal species were driven to extinction. A simple action, the introduction of goats to an island, yielded many changes in the island’s natural environment. This clearly demonstrates that all members of a community are closely interconnected. Water, land and air - those are the systems which basically comprise our environment. How do they work – by maintaining a delicate balance! Look into a pond. A fish feeds there on tiny plants and animals called plankton. In time, the fish dies. Micro-organisms in the water break the creature down into basic chemicals, consuming oxygen from the water in the process. Plant plankton, nourished by those chemicals, produce oxygen to replace it. Animal plankton feed on the plants, fish eat the tiny animals, and the cycle begins anew. On land, too, nature moves full circle. Living things are nourished there, grow old and die, then decompose to enrich the land again. A thin envelope of air surrounds the planet. We use its oxygen, exhaling carbon dioxide, which plants absorb. Plants use the carbon for growth by the marvelous process called photosynthesis, and return oxygen to the atmosphere. Thus nature's delicate balance is maintained. The second principle states that nothing comes free – there is always a price tag. In 1874 a German chemist named Othmar Zeidler created a new compound. Its name was a real tongue twister - dichloro-diphenyl-trichloroethane. We know it as DDT. Dr. Zeidler was unaware that he had found a potential insecticide. Sixty-five years passed before the insecticidal properties were recognized—just before World War II. DDT was used extensively during the war, against mosquitoes and body lice, with great success. And thousands upon thousands of tons have been used since then, on forests, on farms, and to control household pests. Many an area has been freed at last from malaria. But one of the compound's most attractive features—the fact that it remains active long after application—has had unpleasant results, too. In the past decade it has become increasingly evident that creatures in water, in air, and on land—including man himself—have built up concentrations within their bodies. Sharp reduction in a number of species of birds is attributed to DDT. The pesticide has traveled through the ocean chain. Even penguins in the Antarctic, where DDT has never been used, have accumulated traces of the compound. Experts believe that DDT and its derivates aren't selective. This means that they aren’t harmful only to a select group of creatures. They are toxic to many forms of animal and marine life. Thus a product which helps us get rid of mosquitoes and was hailed as a wonder drug has been discovered to have properties which are extremely harmful. It is quite clear that any technological innovation or any step which impacts on the environment has its costs. Nothing comes free. Environmentalists have a word for bargains like those. These are called trade-offs. Often the bargains are bad ones. For instance a small town lures a new industry. The obvious advantages are employment, growth, prosperity. In the process the industry more often than not pollutes the air, contaminates the local river and messes up the land. The Aswan High Dam on the Nile was put there to expand irrigation, to generate electricity, and to control the annual flooding of the Nile Valley. Actually, those floods had helped keep the farms productive by fertilizing the land with silt. The dam has virtually ruined a sizable sardine fishery along the Nile Delta, because the nutrient supply has been choked off. The catch has fallen from 18,000 tons a year to less than 500 tons. And there's another problem, too: Snails are spreading through the irrigation ditches, carrying the harmful disease schistosomiasis. There seems to be a law of nature that every benefit that is introduced to improve our happiness, our welfare, or our security has a cost factor someplace. Sometimes it's a money factor. Sometimes it's an environmental factor. And that's the real job for human ingenuity today—to develop concepts that will let us measure the benefits against the risks. The third principle is based on the Law of Minimum according to which the world’s resources are in finite supply. It has been said that there is enough in the world for man’s need but not for his greed. Man has been plundering natures for centuries with the mistaken belief that the supplies are endless. Scientists and government officials now realize that we are in trouble. Unless we stop abusing our vital life-support systems, they will fail. We must maintain them, or pay the penalty. The penalty is death. We have ignored the law of minimum feeling that the water, air and land are in infinite supply and whatever we do they are going to remain pure and pristine as ever. But sadly we have been proved wrong – terribly wrong. Let us take water first. Why have so many of India’s rivers become casualties as the country grew? Shortsightedness? Not at first. 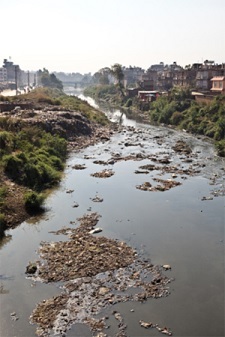 When only a few settlements dotted a river's banks, the sewage that poured in caused little harm. The organic wastes were recycled into nutrients that nourished the tiny forms of life that fed the fish. The river purified itself before it reached the next settlement. This was a very convenient disposal system which few could resist. Then villages grew into towns. The river stank a bit on hot summer days, but towns-people knew that the tainted water soon would be disappearing into the "limitless" sea. They were sure that these huge water bodies had infinite capacity to absorb all the filth that was being generated. Apparently they had not heard of the Law of Minimum. But now we realize that our oceans—those "limitless" seas that cover nearly three-quarters of the planet—are in trouble, too. Statistics reveal that man puts at least three million tons of oil a year into the oceans. Unfortunately, most of the spillage happens in just the wrong places. Spills occur in the coastal waters, where marine productivity is concentrated. More than two million tons of oil a year comes from tankers that flush out their tanks at sea and from vessels that pump out oily bilge water. All too often, their wastes drift ashore to foul beaches. Let us now move on to Air. Today much of the world suffers from the eye-smarting, lung-scarring curse we call smog. Usually found in urban areas, it is formed when nitrogen oxides react with hydrocarbons in the air to produce aldehydes and ketones. In New Delhi, Los Angeles, London and other great cities it comes in large part from automobile engines. In Tokyo things have come to such a stage that traffic policemen pause regularly to breathe oxygen. We can clean up land before we use it, and purify water before we drink it, but—except in air-conditioned rooms—we must breathe air as it comes to us. Automobiles, factories, heating furnaces, power plants, each adds to the problem, so control is difficult. And finally let us discuss the effect of our activities on Land. On an average Americans throw away 50 billion empty cans, 30 billion glass containers, 4 million tons of plastics, and more than a million television sets. Where does it all go? Into the ground, mostly, in open dumps or into "sanitary landfill." Incineration poses problems: Much of the refuse is unburnable. Also, some burning plastics produce toxic smoke, plus fume that damage an incinerator's pollution-trapping devices. Landfill poses problems, too. Leaching chemicals sometimes pollute ground water. Rotting garbage can generate methane gas. Dumping sites for a city's trash are getting more and more difficult to find. If these things are happening in America today they are going to happen in the rest of the world tomorrow. The lack of understanding and in some cases the violation of the three principles of environment has created a situation that is to say the least alarming. According to a report published in National Geographic, "Human beings and the natural world are on a collision course, which may so alter the living world that it will be unable to sustain life in the manner that we know." A green house is a glass building in which plants are kept to protect them from cold weather. Like the glass panes in a greenhouse, certain gases in the earth's atmosphere permit the sun's radiation to heat the earth but do not allow the infrared energy radiated by the earth to escape. This process is referred to as the greenhouse effect. These gases, primarily carbon dioxide, methane, nitrous oxide, and water vapour, insulate the earth's surface, helping to maintain warm temperatures. Without these gases, the earth would be a frozen planet with an average temperature of about -18° C instead of a comfortable 15° C. If the concentration of these gases were higher, more heat would be trapped within the atmosphere, and world wide temperatures would rise. Within the last century, the amount of carbon dioxide in the atmosphere has increased dramatically, largely because of the practice of burning fossil fuels-coal and petroleum and its derivatives. Global temperature has also increased 1° C within the past century. Atmospheric scientists have now concluded that at least half of that increase can be attributed to human activity. The consequences of even such a modest increase in temperature, termed Global Warming, may well be devastating. Sea levels will rise, completely inundating a number of low-lying island nations and flooding many coastal cities. Many plant and animal species will probably be driven into extinction, agricultural regions will be disrupted, and the frequency of severe hurricanes and droughts is likely to increase. The ozone layer, a thin band in the upper atmosphere, serves to shield the earth from the sun's harmful ultraviolet rays. In the 1970s, scientists discovered that the layer was being attacked by chlorofluorocarbons (CFCs), chemicals used in refrigeration, air-conditioning systems, cleaning solvents, and aerosol sprays. The consequences of the depletion of the ozone layer are dramatic. Increased ultraviolet radiation will lead to a growing number of skin cancers and cataracts and also reduce the ability of people's immune systems to respond to infection. Additionally, the growth rates of the world's oceanic plankton, the base of most marine food chains, will be negatively affected, perhaps leading to increased atmospheric carbon dioxide and thus to global warming. A significant portion of industry and transportation is based on the burning of fossil fuels. As these fuels are burned, chemicals and particulate matter are released into the atmosphere. 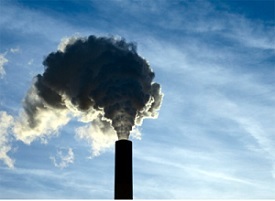 Although a vast number of substances contribute to air pollution, the most common contain carbon, sulphur, and nitrogen. These chemicals interact with one another and with ultraviolet radiation in sunlight in various dangerous ways. sulphur dioxide and nitrous oxide are transformed into sulphuric acid and nitric acid in the atmosphere. When these gases come back to earth in precipitation, they form acid rain. Acid rain is a serious global problem because few species are capable of surviving in the face of such acidic conditions. Acid rain has made numerous lakes so acidic that they no longer support fish populations. It is also thought to be responsible for the decline of many forest ecosystems world-wide. Germany's Black Forest has suffered dramatic losses, and recent surveys suggest that similar declines are occurring throughout the eastern United States. Water that seeps through porous rocks and is stored beneath the ground is called groundwater. World-wide, groundwater is 40 times more abundant than fresh water in streams and lakes. However, even though groundwater is a renewable resource, reserves are replenished relatively slowly. In many countries such as the United States, approximately half the drinking water comes from groundwater. When groundwater is depleted in coastal regions, oceanic salt water commonly intrudes into freshwater supplies. It is estimated that, on average, globally, 25 percent of usable groundwater is contaminated, although in some areas as much as 75 percent is contaminated. Contamination arises from leaking underground storage tanks, poorly designed industrial waste ponds, and seepage from the deep-well injection of hazardous wastes into underground geologic formations. Because groundwater is recharged and flows so slowly, once polluted it will remain contaminated for extended periods. It is believed that species are dying out at an unprecedented rate; minimum estimates are at least 4000 species per year. The leading cause of extinction is habitat destruction, particularly of the world's richest ecosystems-tropical rain forests and coral reefs. At the current rate at which the world's rain forests are being cut down, they may completely disappear by the year 2030. If growing population size puts even more pressure on these habitats, they might well be destroyed sooner. There are many reasons why this loss is crucial. The economic value of species lost and of natural products and drugs that never will be discovered or produced is incalculable. As habitats are destroyed and species lost, the world is increasingly losing its richness and diversity. Practical, enforceable pollution laws have to be passed. These laws should take care not only of the immediate future but also have a long term perspective. 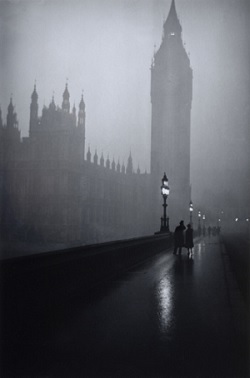 Thirty years ago London could have claimed the title "Smog City, Europe." Three-fourths of its smoke is gone now—a remarkable change triggered by a series of killer fogs in the late 1940's and early 1950's. The worst of these settled over London in December 05, 1952. For four consecutive days the city's normal daily death rate more than tripled. In all, some 4,000 extra deaths that winter were blamed on the incident. More such fogs came in the winters that followed. Each took its toll. If the other cities of the world want a pollution free ambience then they should follow the London example. Human population growth may be seen to be at the root of virtually all of the world's environmental problems. Increasingly large numbers of people are being added to the world every year. As the number of people increases, more pollution is generated, more habitats are destroyed, and more natural resources are used up. Even if new technological advances were able to cut in half the environmental impact that each person had, as soon as the world's population size doubled, the earth would be no better off than before. The most effective way of controlling population is through dissemination of information. People are to be made aware of the advantages of a small family. They should be explained the problems a large family can create for the individual, the society and the nation at large. Family planning issues should be discussed and advise given. While this is primarily the responsibility of the government and the doctors, everyone should chip in. Even students can help out by going to slums, counseling the inhabitants, performing street plays and think up other innovative means of getting the message across. It is widely believed that because of their huge populations the developing nations are far more responsible for the ecological problems. This is a fallacy. It is true that population increases faster in the developing world than the developed world. However, the impact on the environment is still the same. This is because, since larger amounts of resources per person are used in the developed nations, their citizens have a greater environmental impact. This means that while the developing nations have to concentrate on population control the developed world has to teach its citizens the dangers of reckless consumption. Education is one of the most powerful tools to spread awareness about environment and its management. Fed up with its failure to bring down pollution and protect its environment the government of Sweden implemented a carefully drawn out strategy. The key element of the strategy was education. A Swedish student starts learning ecology in primary grades, and he continues all through high school. Adult courses have also been set up all over Sweden and have received an overwhelming response. According to a spokesman of the Swedish Government, “Our primary targets were the people at local government levels. Before a community agrees to let a new factory come to town, we want its people to consider more than just the short-range economic gains. Will the new factory create environmental hazards? In our public-education courses, we teach adults to ask just such unpleasant question." Sweden’s strategy has made its people environment friendly and the country a leader in Environment Management. Environmentalists feel that prioritizing is one of the keys to the effective management of the environment. Each nation and each community has to prioritize. For instance in India population control, cleaning up of rivers, and checking the unplanned growth of cities can be the chief priorities. Every time a new project is launched – such as the construction of a dam – the politicians, social activists, the bureaucrats and the government are all at logger heads. As a result the project runs into heavy weather. What is required is for the parties concerned to get together and come to a decision. The decision should be such that it balances the risk and return and aims to achieve the greatest good of the greatest number. Before using new technology or a new chemical, both the long terms as well as the short term side effects have to be explored. And when a new product is developed, plans should be made for its ultimate disposal. Or else this could create an environmental hazard in future. Conservation is the sustainable use of natural resources – both renewable as well as non-renewable. Recycling or reuse is one of the most effective ways of conservation. In many cases it is possible to reuse or recycle resources to reduce waste and conserve the energy needed to produce consumer products. 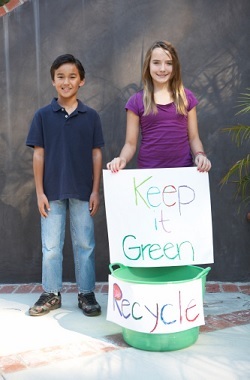 For example, paper, glass, aluminum, metal scrap, and motor oil can all be recycled. A preventative measure called pre-cycling, a general term for designing more durable, recyclable products, encourages reuse. Many countries have established mandatory recycling laws in an attempt to reduce waste and consumption. By achieving synergy between two industrial units too one can achieve the goal of conservation. For instance one factory's industrial waste can be another plant's raw material. A key experiment, inexpensive and of almost immediate utility, is the generation of bio-gas from city and town sewage as well as water hyacinth which for years been blocking waterways and clogging fields. The extra amount of power required is small, but it increases the output of power by seventy per cent. Its financial returns are encouraging, apart from its great advantage of preventing air pollution and clogging. There is a global need to increase energy conservation and the use of renewable energy resources. Renewable alternatives such as waterpower (using the energy of moving water, such as rivers), solar energy (using the energy from the sun), wind energy (using the energy of the wind or air currents), and geothermal energy (using energy contained in hot-water deposits within the Earth’s crust) are efficient and practical ways of energy conservation. So much is being said, discussed, and written about man ravaging the environment that we start feeling panicky. Though the situation does warrant concern the news is not all bad. There is plenty to cheer about on the environment front. Let’s start with the atmosphere and climate. The ozone layer is on the point of recovering. This success story dates back to 1987, when scientists began to voice their concerns. The world’s governments moved in just nine months to conclude a treaty to eliminate chlorofluorocarbons (CFCs) and other ozone-destroying chemicals. Today almost two decades later the result is encouraging. The world over scientists, engineers, technologists are working to tackle the menace of global warming, acid rain, urban smog etc. They have realized that the best way of doing it is by reducing the consumption of fossil fuels, viz. coal, oil, and natural gas. To achieve this they need to build more efficient cars, insulate buildings better, and use advanced light bulbs. An excellent example has been set by Amory Lovins, a Colorado scientist. He, is well on the way to inventing a streamlined and hybrid-power car that will drive from New York to Los Angeles on a single tankful of gasoline. He and his wife Hunter live at 7,100 feet in the Rocky Mountains where the winter temperature often plunges below freezing every night for weeks if not months on end. Their house with its exceptional energy-efficiency installations leaves them with an annual heating bill of less than Rs. 2,500, which by American standards is extremely low. Nor did the house need way-out and costly technology. All items had long been available at the local store, and the Lovins’s energy savings paid off their capital investment within two years. Innovative house lighting can save on electricity and hence on fossil fuels. In Japan, more than 80 percent of homes are lit with low-power and long-lasting bulbs that give light as good as conventional bulbs. In Norway, one home in every 25 (50,000 in total) are powered by photovoltaics. In Kenya, 20,000 homes are electrified with solar cells. If price trends of the 1990s continue, solar technologies will provide power at rates which would make them broadly competitive with electricity derived from fossil fuels. Much the same applies to wind power. During just the past few years, generating capacity has risen rapidly until wind power is now the fastest-growing energy source. India possesses the second fastest growing wind-power industry with 500 MW installed. In many parts of the world, the cost of wind-generated electricity has fallen by two-thirds since 1990, and in many regions it has become competitive with new coal-fired power plants. As wind turbines enter mass production, costs should soon fall significantly making wind one of the least expensive electricity sources. Examples of environmentally friendly practices making good business sense are increasing. Minnesota Mining and Manufacturing, makers of scotch tape and many other office supplies, has saved more than 500 crore rupees since 1975 through its recycling and waste management practices. Innovative efforts to recycle and reuse waste are also yielding encouraging results. Indian born Australian scientist Professor Veena Sahajwala has won a prestigious Australian science award for developing a technique to use waste plastic in steel making. Under this process waste plastics are fed into electric steel making furnaces as an alternative source of carbon. Many waste plastics from shopping bags to cold drink bottles contain high levels of carbon which is useful in steel making. This innovative technique has two vital benefits. It puts an environmental hazard like plastic to economical use and conserves a valuable resource like carbon. All these innovations and proactive approaches augur well for us and our environment. As children, the future leaders of tomorrow, what is your responsibility? 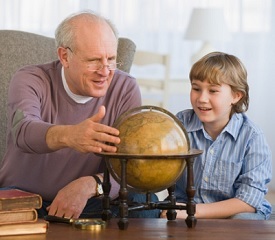 After all you are going to inherit the earth from the present generation and pass it on to the next generation. Some time back the Indian Government had launched a literacy programme called ‘Each One Teach One’. Even then I had liked the idea immensely, though it had failed to take off. I think this campaign should be re-launched - not by any Government but by us, you and me. In whichever part of the world we may be, if we consider ourselves the concerned and committed citizens of the world we should chip in. We should identify the illiterate in our vicinity and teach them the basics of not only the three Rs but also about hygiene and health. And by ‘we’ I mean both adults as well as children. Father and daughter, mother and son can teach together and also be taught together. This might sound simplistic to many of you. But please keep in mind that all great revolutions have begun with a simple step and eventually led to terrific results. Mahatma Gandhi, an old and frail man picked up a handful of salt, on a beach in 1931, and rang the death knell of the biggest empire in the history of human civilization. We too can make a small beginning. Each of us can pick up a single soul shrouded in ignorance and lead him (or her) on the well-lit path of knowledge. All it needs is a little bit of effort, a little bit of commitment and a tiny voice in our minds and hearts that will urge us on to make the lives of those around us a little better. Plant a sapling and care for it. Watch it grow, nourish and nurture it. Encourage your friends, family members, neighbors and anyone else you can to follow your example. Whenever you see food or water being wasted prevent it. Begin in your own house and school. Close taps which are open, report leaking taps or pipes. Report cutting of trees and plants. Do not tolerate cruelty to birds and animals. Switch off fans, lights, air conditioners and geysers when not in use. Make sure that your house and the area around it is clean. If the garbage cleaning system is not effective bring it to the notice of the authorities. Form eco-clubs in your school and neighborhood, let each member become an environment vigilante. Interact continuously with people from all strata, across generations on environment issues. Here is a simple example. Our cities and towns are growing. To provide bricks for houses and offices, brick kilns are cropping up everywhere, using fertile soils from the top layers. Do the people who use these bricks or the brick layers know – that it takes nature over a century to make one centimeter of top soil? If owner of houses realize this, it would soon become possible to prevent haphazard digging up of soil for bricks. You should take up the responsibility of informing, of counseling people so they know the results of their seemingly harmless actions. Let me not hit your vitals, or your heart. So can man himself be vital and of good heart and conscious of his responsibility.